L'ultima aggiunta alla vincita del premio 'AUDIO 40', che celebra gli oltre 40 anni di leadership nel settore Innovazione nella Connettività. Il Performance Audio 40 ha una costruzione ed una geometria quasi identici ai cavi di interconnessione analogici Reference e Signature Audio 40, già vincitore di diversi award, omettendo unicamente i componenti più costosi. Attraverso l'uso di complementare Conductor™ Technology QED Audio Performance 40 fornisce i tempi ed il dettaglio a un livello raramente consegnato da anche cavi di interconnessioni analogiche più costosi. 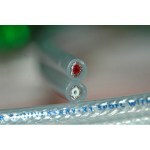 Capacità: 76 pF / m.
Loop induttanza: 0.37 µH / m.
Diametro nominale esterno: 8,0 mm. A special floating Zn/Mn Ferrite jacket is used within the Audio 40 cordage to absorb very high frequency noise components outside of the audible band that have an adverse effect on the micro-timing of the audio signal. With cables, our goal is to replicate as closely as possible the input signal at the cable output. Timing errors mean frequencies have been disrupted and the signal sent by your source equipment has not been accurately replicated. When measured at very high frequencies, Audio 40 cables do exhibit cleaner signal transmission than ordinary audio interconnects. The QED AnamateTM plug is a variation of the innovative QED AnalocTM RCA plug found in Reference and Signature Audio 40. 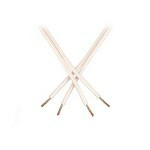 A hollow oxygen free copper central pin is used to improve high frequency detail in the same way as our X-TubeTM speaker cables. To reduce swirling 'eddy currents' (that would otherwise oppose signal flow) a unique low mass plug design using two small, high purity copper ground leaves is used. Like putting wooden wheels on a Ferrari, conventional RCA phono plugs have the potential to undo all of the hard work carried out by our carefully designed cordage. 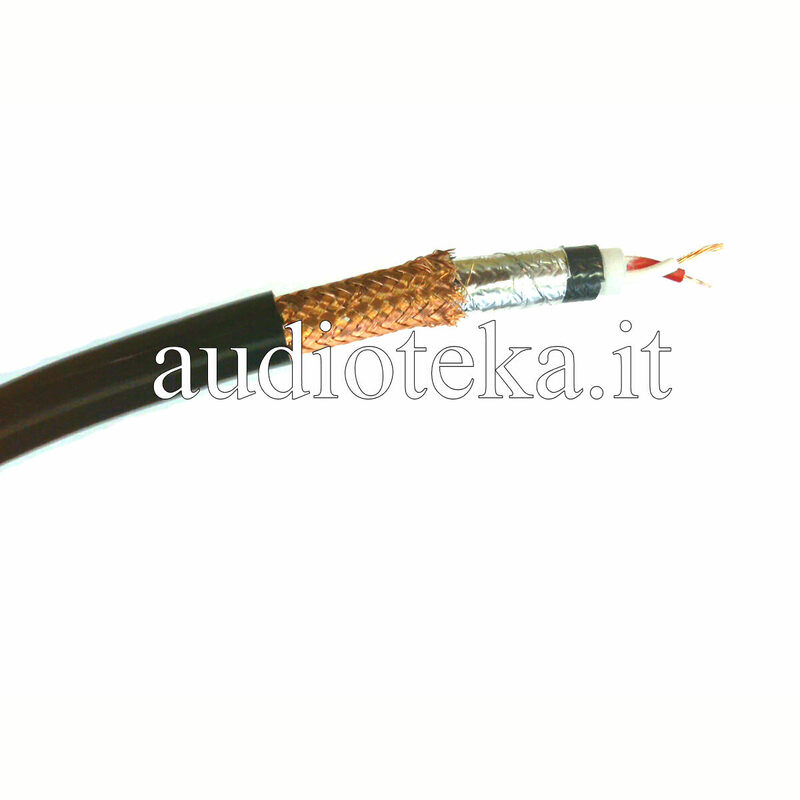 With AnamateTM and AnalocTM RCA plugs, the fidelity of the audio signal is maintained form start to finish. Improves timing and detail, retaining the rhythm of the original piece. Unlike conventional analogue interconnects, Performance Audio 40 utilises two 99.999% Oxygen Free Copper conductors of different diameters to carry the same audio signal. This has the effect of providing an alternative path for high frequency audio components which might otherwise become time smeared in a single audio pathway. Performance Audio 40 represents phenomenal value for money. 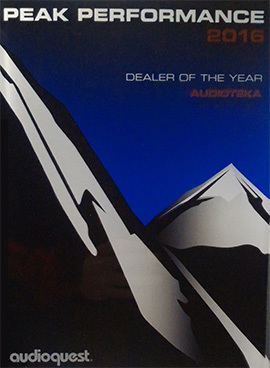 Our extensive listening tests comparing it against competitor products at much higher price points have astonished us! We urge you to compare it not only to your favourite cable but also alternative brands and models at any price! Asymmetrical twisted pair geometry features independent dual layer screening that protects delicate signals against interference from external high voltages and currents. Complementary conductor geometry utilises two conductors of different diameters to carry the same audio signal. This has the effect of providing an alternative path for high frequency audio components which might otherwise become time smeared in a single audio pathway. Like putting wooden wheels on a Ferrari, conventional RCA phono plugs have the potential to undo all of the hard work carried out by our carefully designed cordage. 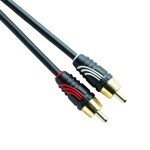 With Anamate and Analoc RCA plugs, the fidelity of the audio signal is maintained form start to finish. A special floating Zn/Mn Ferrite jacket is used within the Audio 40 cordage to absorb very high frequency noise components outside of the audible band that have an adverse effect on the micro-timing of the audio signal.